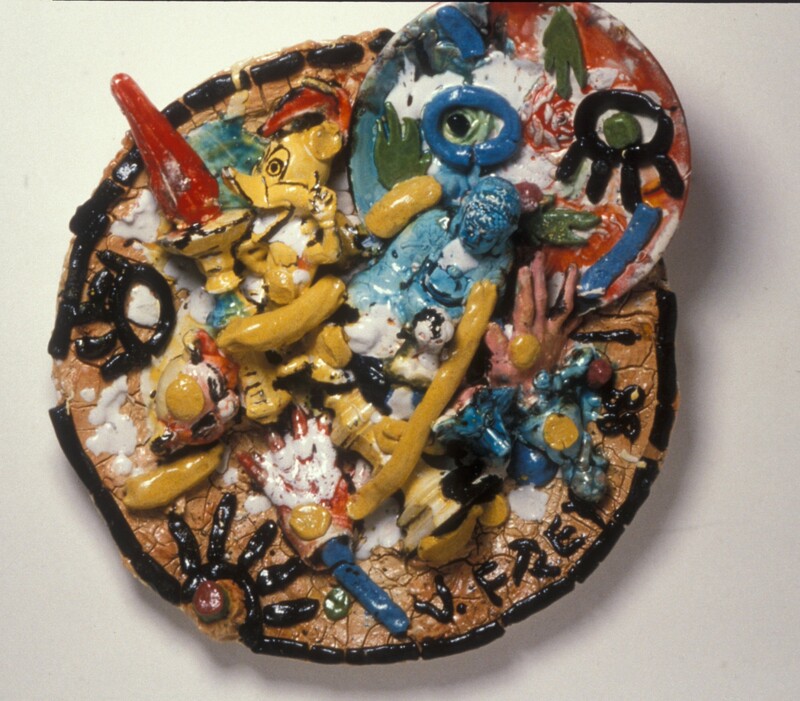 Create a clay plate personalized with your self-portrait and favorite objects using themes and techniques central to Viola Frey’s work. Gain inspiration from Frey’s wide range of ceramic plates on view in both exhibitions at MarinMOCA and di Rosa Center for Contemporary Art. This workshop is free to the public, but there is a materials fee of $15 per person or $20 for families. Ceramics will be fired and available to pick up after the workshop. All ages are welcome. Candace has taught ceramics to all ages for the past 25 years. Her experience creating functional forms by hand and with the potter’s wheel provides a knowledge of technique to share with her students. Currently, she is teaching ceramics in Sebastopol, Petaluma, and Novato, as well as selling her own work.